More than 10 million people are affected by hay fever in the UK. 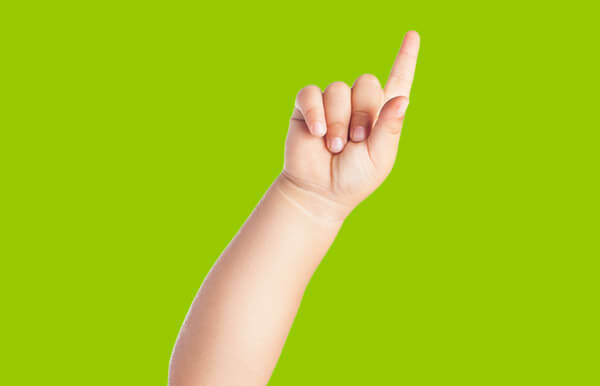 As customers are turning to cheaper own brand remedies, BENADRYL were itching to demonstrate their distinct value and differentiate the brand from its competitors. 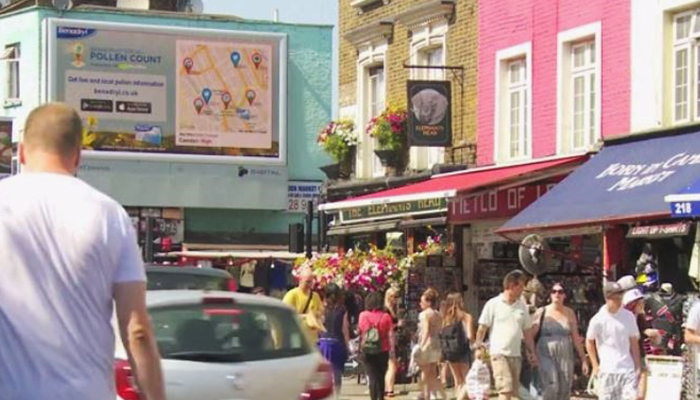 The Out of Home campaign was used to deliver real-time pollen information to receptive audiences and immediately recommended a BENADRYL remedy to relieve their exasperating symptoms. 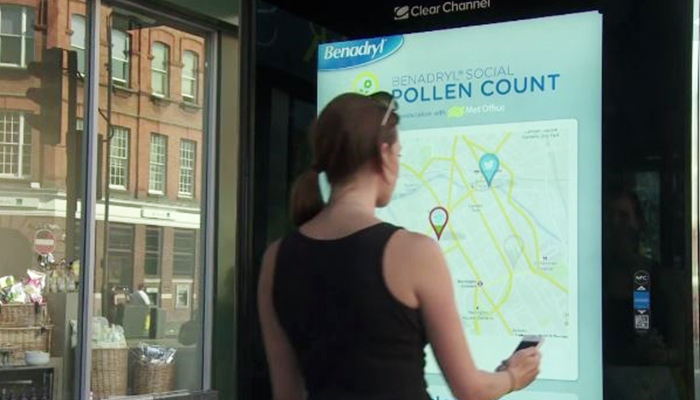 The digital posters were also to provide a useful link to download the BENADRYL Social Pollen App. 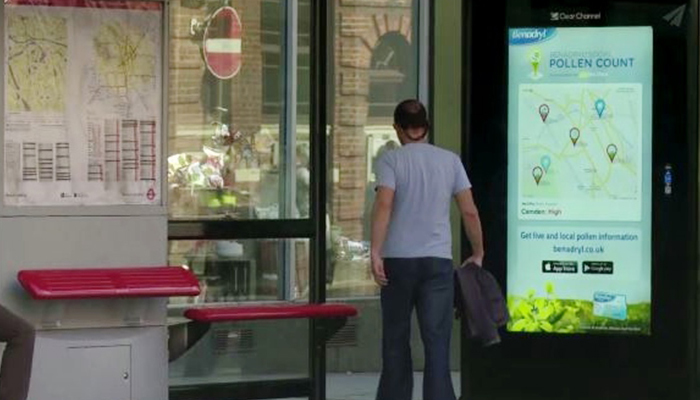 The campaign was advertised on a mixture of national malls and rail digital 6 sheets and on London roadside 48 and 6 sheets. The campaign peaked with 54% mobile traffic uplift and 65% desktop uplift. Mobile traffic, a key target channel for the brand, had an overall growth rate of 20% on live dates. This significantly contributed to successfully hitting the 150,000 BENADRYL Social Pollen Count app download target.